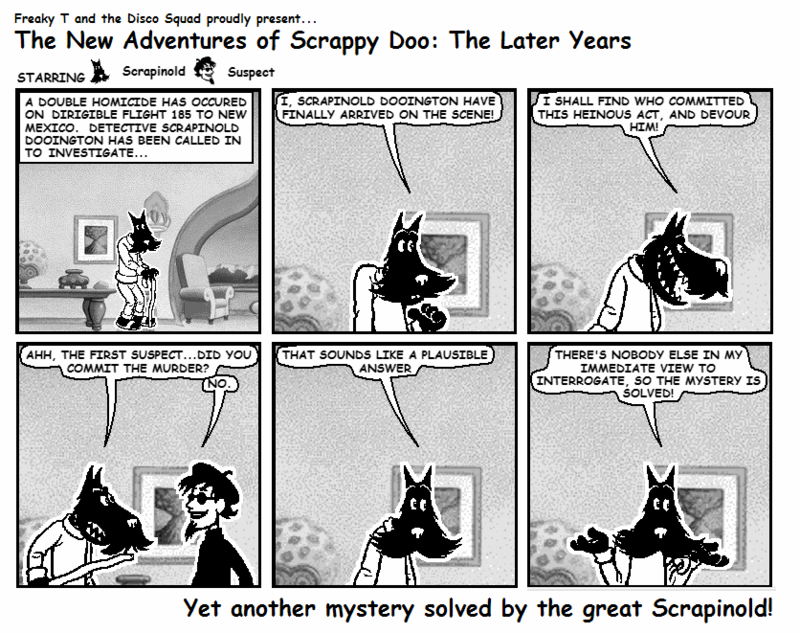 The New Adventures of Scrapinold Dooington is a surrealist comic chronicling the crazy post-retirement adventures of the world-renowned detective Scrapinold Dooington, alongside with a lovable cast of characters. At SIGGRAPH '96, Microsoft introduced the world to Microsoft Comic Chat (relevant paper) (download link), capable of transforming any mundane IRC chat session into an expertly crafted comic! 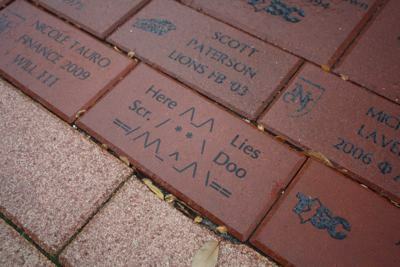 (For example, this image was outputted after connecting to #xkcd on irc.foonetic.net.) Eleven years later, Mr. Squad and myself came to the conclusion that our undergraduate college's newspaper would greatly benefit from the addition of a comic by us. After finding Microsoft Comic Chat, we determined that it could serve as an ideal tool to achieve just such an end. We thus created the first issue (pictured right), in which we see the original versions of both Scrapinold himself, and the "Dude" guy (Prof. Cheese has no equivalent in Comic Chat) However, both that comic (and a second issue) were both tragically rejected. Today, Scrapinold is an open source project, licensed under the Creative Commons Attribution 4.0 International license! All comic source material is hosted on Github, and we even accept pull requests for new comics!